Preview the exciting changes and rewards you can find in the Alliance War as part of Update 20’s free base-game patch. Cyrodiil has always been the center of bloody conflict during the time of the Second Era, but with Update 20, the Three Banners War takes on a new shape. 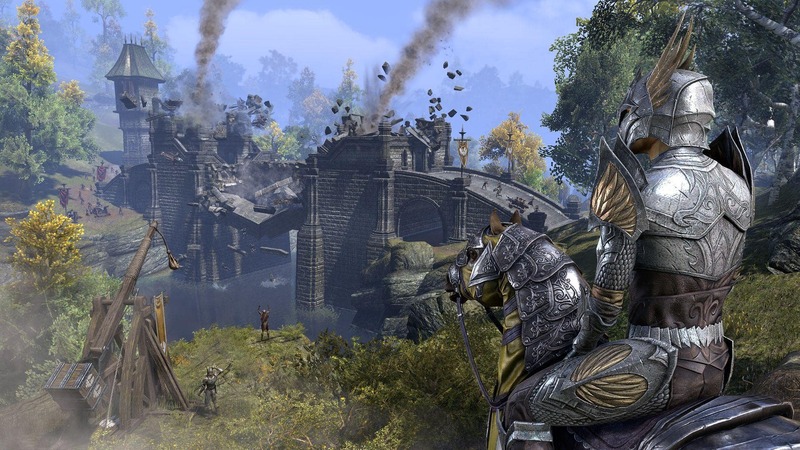 Previously, you could use siege engines to destroy keep walls (and some other key locations), but now, you can use your catapults, ballistae, and trebuchets to bring down Cyrodiil’s numerous bridges and Milegates, too! This new destructive capability opens up all kinds of tactical options for those who wage war in Cyrodiil. Do you destroy a bridge or Milegate in order to slow down an enemy advance? Or do you defend it to ensure your supply lines remain intact? Both bridges and Milegates can be repaired if you have the materials, but now you can also find super-secret goat paths scattered throughout the region, giving you an alternate path into enemy territory. This update also includes three new Outposts named Winter’s Reach, Harlun’s Outpost, and Carmala Outpost, giving you new bases from which you can use to launch your assaults. Veterans of the Alliance War have already been hard at work earning themselves the PvP-exclusive Gladiator costume pieces, giving them a wholly distinct look on the battlefield. Now, with Update 20, you can instill terror into the hearts of your opponents with the Gladiator Taunt emote. When you activate this emote, you’ll taunt your opponent with whatever weapon you currently have equipped, letting them know they’re on borrowed time! To acquire the Gladiator emote, you must earn 30 Gladiator Proofs and take them to the War Researcher merchant. Even more reason to complete those Conquest daily quests. Finally, Update 20 also includes an update to the item sets you receive in your Rewards for the Worthy PvP bags. Now, these bags will contain six brand-new sets, including Battlefield Acrobat, a medium set that reduces the cost of all your Abilities by 6%. Once again, the Alliance War is changing. Ready your machines of war, let loose your battle cry, and reshape the battlefield itself with Update 20’s PvP additions. Are you ready to bring your enemies’ fortifications down on their heads? Let us know on Twitter @TESOnline and Facebook. Update 20 arrives in tandem with the Murkmire DLC game pack as a free base-game patch. It is now available on PC/Mac and will arrive on November 6 for PlayStation®4 and Xbox One. Meet the Cats of ZOS! 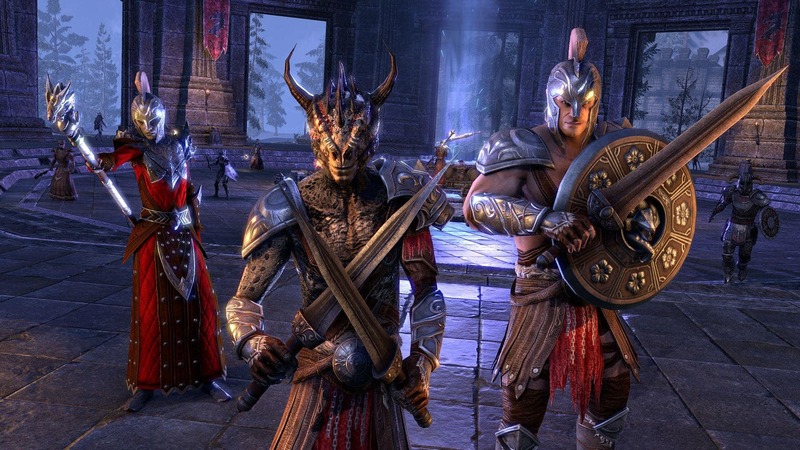 ESO Live: April 26 @ 11PM BST – The Evolving Home & Combat Team Chat! Community Spotlight – New Player Guilds Save on Crown Packs and the ESO Collection During Our April Sale! Elsweyr and Update 22 Now Live on PTS!